Pastor Jason has lived on three continents and one day hopes to visit all seven. 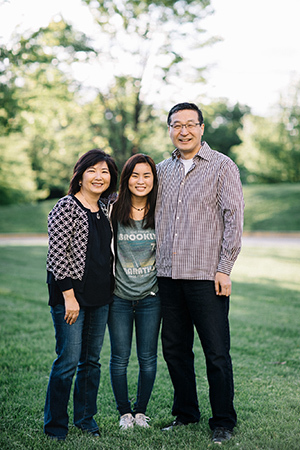 Born in South Korea, he immigrated to the United States via South America in 1977 and decided to stay when he had his first delicious taste of New York pizza. Shortly thereafter, he decided to give his life to Christ when he had his first even sweeter taste of the miraculous power of God through the physical healing of his own body. Changed forevermore, Pastor Jason dedicated his life to serving God by shepherding God’s people through the local church. His greatest joy and passion is walking with people through the ups and downs of life, which he has done so through decades of ministry in New York, a church plant he founded in Seattle, and finally here at NCFC in Germantown, MD. Pastor Jason’s desire is to build a healthy missional church, and his prayer is for NCFC to be a church of authenticity and open doors where people meet and encounter God. Pastor Jason graduated from Fuller Theological Seminary in 1992. He is currently the senior pastor to the English congregation of NCFC with his partner in ministry, Susan. Together, they are the proud parents of James and Mariah (daughter-in-law), Faith, and Lydia. As the primary preaching pastor at NCFC, Pastor Jason considers it his personal responsibility to tell as many dad jokes as possible.